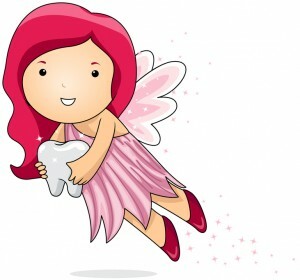 The tooth fairy is the most common way to celebrate the loss of a baby tooth in the United States. It’s a rite of passage for many Americans to lose their first tooth, place it under their pillow and wait for the magical tooth fairy to come and compensate your little ones for their tooth. However, just like any other tradition, different countries around the world celebrate the loss of baby teeth in different ways. In several countries, it is believed that instead of a fairy a mouse comes into your room at night and takes the tooth from under the pillow in exchange for coins and goodies. In Mexico and Spain, the rodent is referred to as Ratoncito or Raton de Los Dientes (Tooth Rat). In Scotland a white fairy rat exchanges the tooth for coins. In eastern countries like Japan or Korea, tradition dictates that the bottom teeth are thrown up onto the roof of the home and upper teeth are thrown beneath the home. This superstition is done to promote healthy growth of teeth. In Austria the tooth is either made into a key ring or it is thrown in a tradition similar to Korea and Japan. Nigerian tradition dictates that the lost tooth is thrown into the attic of the house where it is used to ward off mice. In several cultures it is believed that teeth, hair and nails contain a part of person’s soul, and if a witch gets their hands on these personal items, she can gain possession of the soul itself. During the Middle Ages, English children were told to drop their tooth into a fire to destroy it in an attempt to ward off evil. In modern times, this tradition has gone away and most British children are told about the tooth fairy.